hard wood for cooking – I’ve tried a hickory, mesquite and a mixture of oak/mesquite. Get fire going on grill and allow fire to burn down some. Wash the green beans. I trim the ends off too. 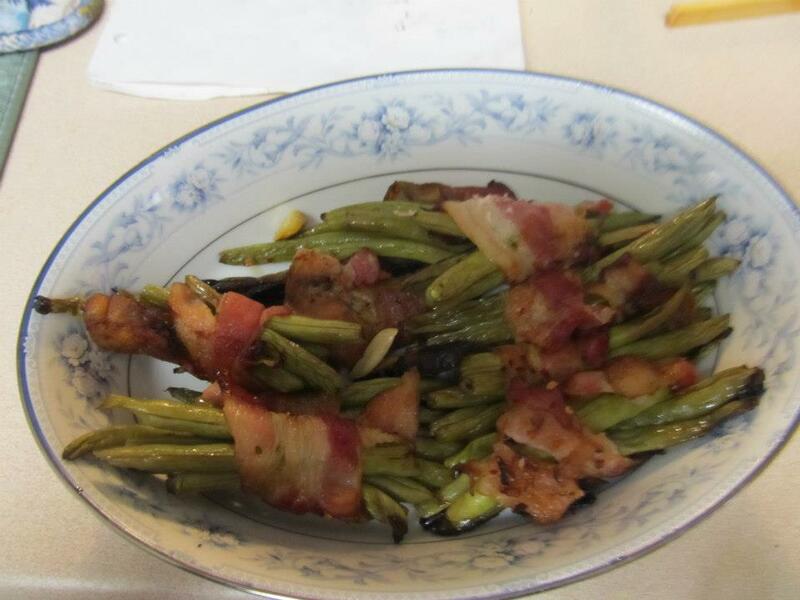 Arrange in bunches of 6-8 pieces and wrap with bacon. You can use skewers or toothpicks to hold them together. However I find they stay together pretty well if you put the open side of the bacon on the bottom. Arrange in pan or grill basket. I like to slightly oil the pan to keep it from sticking. Grill from 5-7 minutes. Check for doneness and flip over. Grill for another 3-5 minutes.